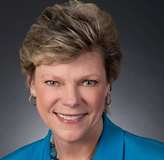 Cokie Roberts, political commentator for ABC and NPR and author of the number one New York Times bestseller We Are Our Mothers’ Daughters with her new children’s book, Founding Mothers: Remembering the Ladies. Robin Morgan, co-founder of the Women’s Media Center, author of more than 20 books, and host of WMC’s Live with Robin Morgan Radio Show airing weekly on Saturdays at 11AM EST and streaming live over the internet. Cokie Roberts, political commentator for ABC and NPR and New York Times bestselling author, shares the untold stories about the influential women behind the founding fathers who played major roles in creating our new nation in her new children’s book, Founding Mothers: Remembering the Ladies. She, and host Stacey Gualandi, also talk about Robert’s career in broadcasting and the current status of women in politics and business. Robin Morgan: She’s an award-winning journalist, the author of 21 books, a political activist and a co-founder of the Women’s Media Center along with Gloria Steinem and Jane Fonda. She is also the host of WMC Live with Robin Morgan Radio Show. 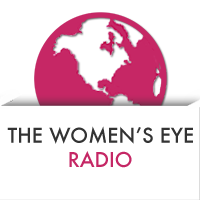 Robin talks with TWE Radio host Stacey Gualandi about the status of women in media, how WMC is making women visible and powerful in the media, training women and girls in media skills and creating a databse of women experts, SheSource.